DLN-4M adapter is a powerful solution to connect and control various hardware devices using I2C, SPI or GPIO serial interfaces from your PC. The device features easy installation and plug-and-play support. There are two approaches to monitor user actions (e.g. key presses) or sensor measurements. Your application can either poll for changes or react on events. Here is an example that will help us understand the difference. Let us assume that our application must notify a user if a voltage level monitored by the DLN-4M adapter is out of the predefined range. 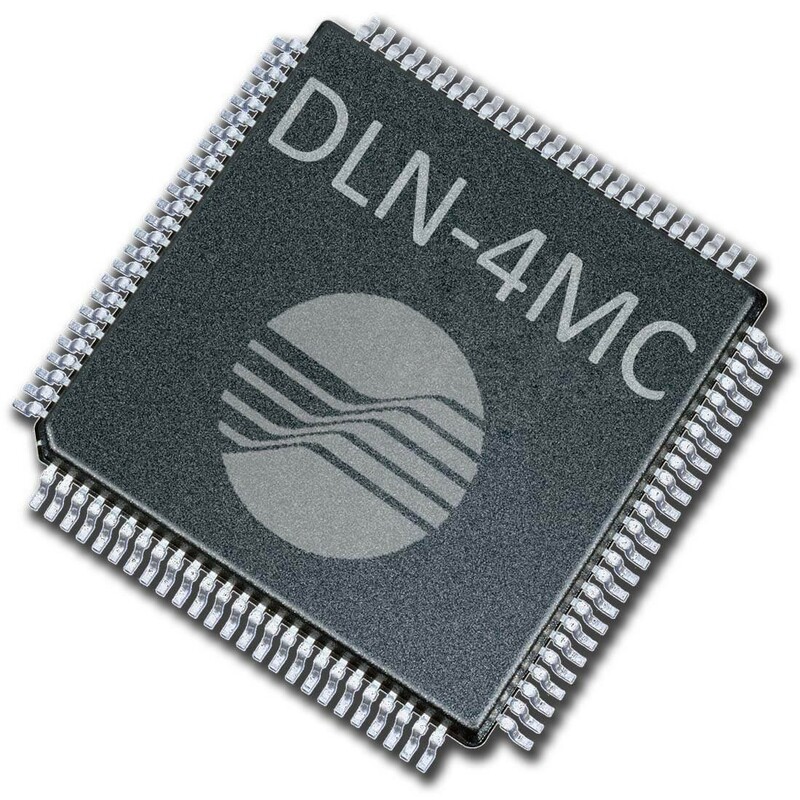 Our application can poll the DLN-4M adapter periodically to check the digital input value. You would have to decide how frequently you need to poll this input. If you poll it too frequently, you unreasonably waste computer resources and USB bandwidth. If you poll it rarely, you can’t react on the changes in a timely manner. Another approach is to configure the DLN-4M adapter to notify your application when the voltage level crosses the threshold. You application can perform other tasks instead of continuously polling the device. When the voltage level crosses the threshold, the DLN-4M adapter sends an event with current measurements to your application. The polling approach wastes computer resources and USB bandwidth, while the event-driven interface facilitates more responsiveness. * Frequencies of up to 1 Mhz are supported. However, due to GPIO DC current limitations, the necessary size of pull-up resistors cannot be ensured. Chip datasheet ATSAM3U4C chip datasheet. Chip pinout DLN-4MC chip pinout.